Victoria Hotel in Morecambe is for sale. 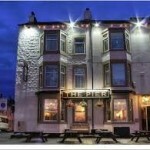 Royal Bar & Hotel in Morecambe has accommodation. The pub shows football on TV, it has terrestrial TV. Kings Arms in Morecambe has a car park. The pub has disabled facilities, it is a family friendly pub. 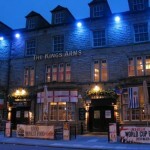 Kings Arms serves food. The pub serves real ale, it has free WiFi. Kings Arms has a dart board. The pub has a pool table, it is a member of Cask Marque. 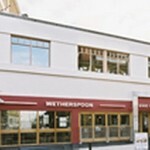 Station Promenade in Marine road West serves real ale. Eric Bartholomew in Morecambe has disabled facilities. The pub is a family friendly pub, it serves food. Eric Bartholomew serves real ale. The pub has free WiFi, it is a member of Cask Marque. Chieftain Hotel in Morecambe has a beer garden. The pub has a car park, it has an outside area. Chieftain Hotel has a smoking area. The pub has a dart board, it shows football on TV. Chieftain Hotel has Sky Sports. The pub has terrestrial TV. Palatine in Morecambe serves food. The pub serves real ale. Our aim is based on the belief that our customers' needs are of the utmost importance. Our team is committed to meeting those needs. As a result, a high percentage of our business is from repeat customers and referrals. Queens Hotel in Morecambe has a smoking area.